GATE 2019 Score Card will be released on 20th March 2019. The score card will be available for those candidates who will secure marks more than the qualifying marks set by the GATE 2019 committee. The calculation of the normalization marks will be done for the exams held in multi-sessions. 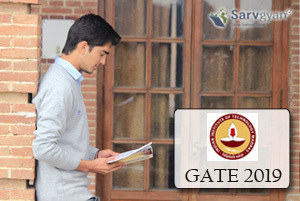 The GATE committee is the authority to decide the passing mark/score for each GATE Paper. The detailed information about GATE 2019 Score Card Calculation is given below. With the help of above formula, the candidate’s raw marks will be converted into normalized marks. Now, the candidate’s GATE score will be calculated on the basis of normalized marks. In the formula of GATE 2019 Score, Mq is generally 25 marks (out of 100) or μ+σ, whichever is larger. Here μ is the mean and σ is the standard deviation of marks of all the candidates who will appear the GATE 2019 examination. In case of any query or doubt regarding GATE 2019 Score Card Calculation, you may ask us by commenting below. There is any probability of increasing marks after calculation of narmalize marks…. The Gate result will be declared on 19th March. How to check response paper sheet given by me in gate ce 2016 paper??? You may login to GOAPS. Prepare as per the syllabus, do hard work and solve previous year question papers. You may go through our article, we have provided information regarding this.